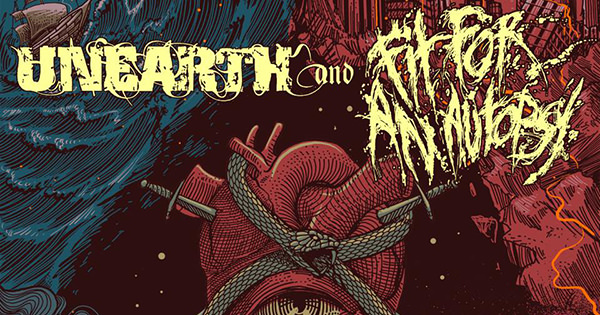 Unearth and Fit For An Autopsy will team up for some U.S. touring this fall. Direct support will be provided by The Agony Scene and Traitors, with dates listed below. Unearth frontman Trevor Phipps comments: "'Extinction(s)' is coming and we'll be doing the first of many tours on the record this November. We are very much looking forward to showcasing more songs from the new album on this upcoming tour as well as playing material from our entire catalog. We're also excited to have Fit for an Autopsy, The Agony Scene and Traitors join this stacked bill."